The Online Photographer: Where's Waldo? 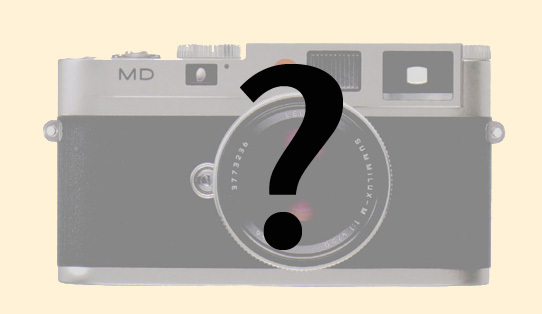 For the last year-plus we have heard nothing from Leica but, “to be announced at PMA, for sale at Photokina” regarding the Digital M. Yet so far there is not a whisper from Leica, and nothing on any site that spews digi-rumors or Leica blather. What gives? Anybody know anything? Post a comment if you've got a hot tip. I believe that Leica has stated "to be announced at Photokina, and available shortly thereafter". Or something to that effect. I remembered "tba at PMA, working camera at 'Kina, and deliveries muchmuch later." The Leica FAQ, maintained by Andrew Nemeth (url for M Digital info is http://www.nemeng.com/leica/004f.shtml), has a pretty good compilation of information on the forthcoming M Digital. An LFI article from January interviewing Stefan Daniels confirmed a number of "nuts and bolts" issues (10.5MP, 1.33x crop factor, metal shutter from the R9 body, no advance lever, etc.). I've heard nothing confirmable beyond this. For an interesting take on the concept of a digital Leica M camera, head over to the photo.net Lecia forum and check out what a guy named Huw Finney is up to. He's clearly insane :), but his 'M Digital' may well be done before Leica's is (search on 'M2aD Project' -- it's based around a 14MP full frame monochrome CCD without microlenses).